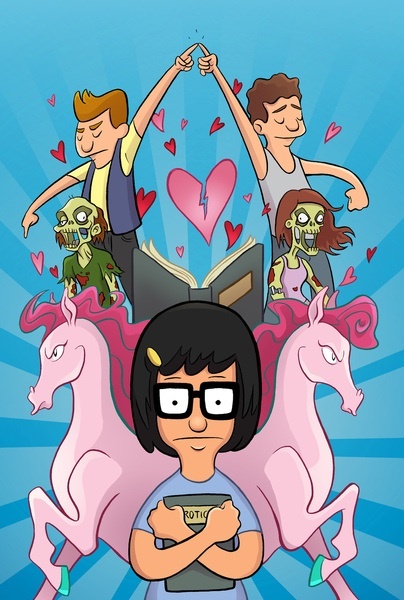 This Bob's Burgers fan art contains anime, comic, manga, cartoon, comic buch, karikatur, and comics. There might also be buntglasfenster, glasfenster, and glasmalerei-fenster. This Jahr I'm a mommy-mummy. Last Jahr i was a mummy. So Du think Du can dance.